First formulated in the United States in 1849 by William Zinsser following the introduction of shellac, the Zinsser range of high performance primers and wall coverings that prevented mould and mildew has now become a world leader. Products such as B-I-N and Bulls Eye 1-2-3 said to be the first water based universal primer have become world wide names. In recent years, Zinsser has expanded its product range with the addition of low VOC primers and sealers. Now part of the RPM group of companies, Zinsser is distributed in the UK by Tor Coatings offering not only products but site visits and specifications ensuring the correct products are used. They are also more than happy to offer site visits to give advice, training and technical assistance all free of charge. This service has become popular with specifiers, architects, facility management companies as well as maintenance managers. 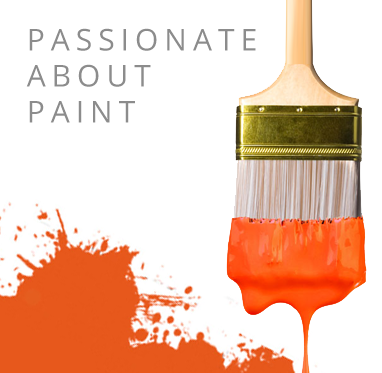 As part of the acquisition of the Blackfiar business, Tor Coatings became the importer for Classidur paints, a world leading products, a work leading product in stain blocking and zero tension coatings, as the Zinsser product range has grown over the years and with the introduction of products such as Allcoat and now Grade 1. As Promain work extremely closely with Tor and Varnis Claessens, the manufacturers of Classidur it would be in the best interests to all parties that Promain became the importers for Classidur range of paints and coatings as these are in direct competition with Allcoat and Grade 1, although Grade 1 does not really offer the same high performance characteristics that products such as Classidur Tradition offer. If you have any professional painting project planned, whether it be painting of an exterior masonry wall, an industrial unit, a swimming pool enclosure or even a listed building that you feel any of the Zinsser products may be suitable for please contact the Technical Department at Promain who will be happy to discuss your requirements and if necessary. arrange a site visit.